We use a scientific approach to pest management that utilizes multiple control methods in addition to the judicious use of products and materials at your home. Effectively using these proven control methods allow us to get the best results in tackling your pests. 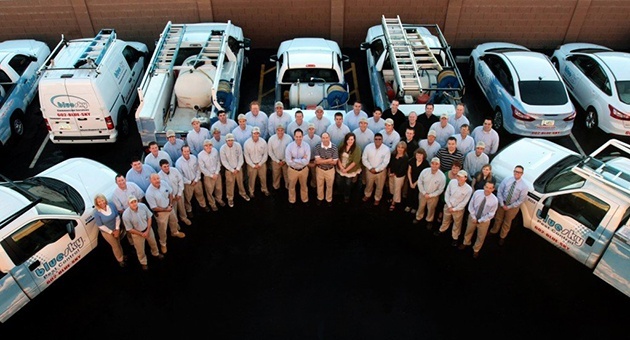 We know Phoenix pests and our services are designed specifically for our desert environment. Our professional exterminators are trained specialists who get to the root of your pest challenges. Unlike many other pest control companies in Phoenix, our technicians follow specific steps in assessing the pest problem so we can use and/or recommend the use of multiple control methods (habitat and harborage modification, exclusion, physical controls and the judicious use of materials). Our standard of treatment includes a full plan for pest management and prevention. There are many pests and rodents that are common to the Phoenix area. Our pest control specialists bring effective and responsive solutions to protect your home. Answer your door to a Blue Sky technician and you’ll greet a true professional. Our exterminators are carefully screened for character and competence. 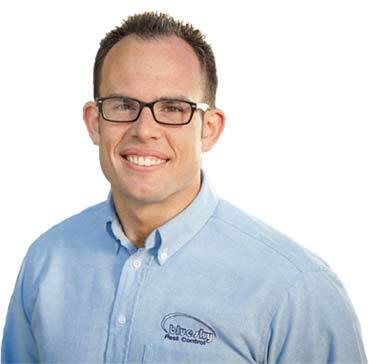 Trustworthy, highly trained, and experienced, they’re what make Blue Sky the go-to exterminator service in Phoenix. Protect your home against common Phoenix pests like scorpions and termites. Blue Sky uses a multi tiered approach to keep pests out of your home. Implementing these control steps allow us to get excellent results while reducing product use at your home. Ask about our conventional EPA-approved products or our alternative all-natural treatment options. Don’t forget – our home pest services are fully guaranteed. Different commercial properties have different pest control needs. Whether you’re a school, medical facility looking to comply with the various audit requirements, or an organic food processing plant seeking USDA compliance, Blue Sky has services and solutions to meet these needs. Ask about our commercial IPM (Integrated Pest Management) approach. 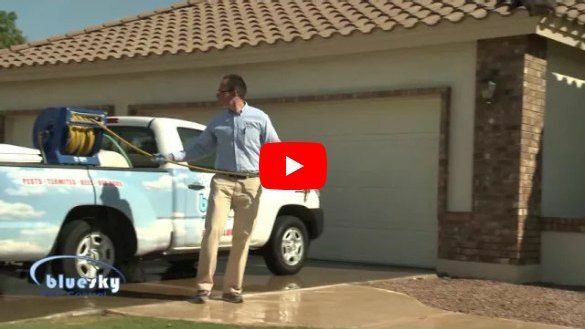 We service the entire Greater Phoenix and Metro Phoenix area, including Chandler, Gilbert, Mesa, Tempe, Queen Creek, Scottsdale and more from our two convenient locations in Phoenix and Gilbert. No matter what type of pest has moved in – ants, scorpions, rodents, or other types of common pests – we move them out. In fact, Blue Sky Pest Control carries the trusted “Rosie On The House” certification and has earned the Angie’s List “Super Service Award” for six years running. Whether it’s bed bugs in your home, bees in the garage, or ants in your commercial space, our professional staff can help. 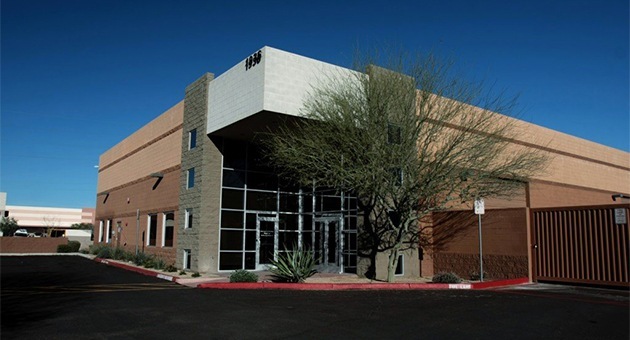 Since 2003, we’ve served the greater Phoenix area, staying on the cutting edge of new technologies and products. Our science-based integrated pest management approach is proven and guaranteed. We take pride in exceeding others’ expectations through a commitment to excellent service provided in a caring way. We have built our solid reputation one satisfied client at a time with our thorough, effective and environmentally friendly approach.